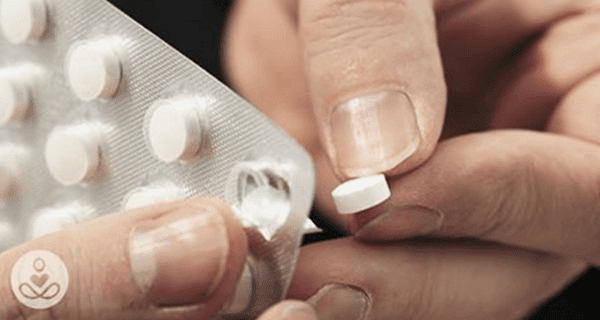 Home Unlabelled WARNING: THIS BLOOD PRESSURE MEDICATION CAN SEND YOU TO THE HOSPITAL! About one in three Americans have high blood pressure, and a new study suggests that those on medications to treat this disorder may be at increased risk for depression and a number of other mental health problems. Although the exact reason for these results is not clear, the findings could suggest new ways to prevent mental health conditions, and also treat them. The study found that common prescription medications used to treat high blood pressure, such as beta-blockers, calcium channel blockers, and angiotensin antagonists, were associated with hospital visits for a number of mental health conditions including depression and bipolar disorder. People taking a beta blocker or calcium channel blocker were twice as likely to have been hospitalized with a mood disorder as those taking an angiotensin antagonist, The Washington Post reported. On the other hand, patients taking an angiotensin antagonist were 53 percent less likely to have been hospitalized with a mood disorder than were those who took no blood pressure medication. Lastly, thiazide diuretics were not associated with any risk for mood disorder hospitalization. These findings are based on the medical records of 144,066 adults with an average age of 56. Of this group, 32,130 people were taking one of these four high blood pressure drugs. The individuals were followed over a five-year span, and of this original group, 299 individuals were admitted to the hospital for a mood disorder condition. “There is a lot of data that depression and cardiovascular disease are related … but current hypertensive practices do not consider depression,” lead study author Dr. Sandosh Padmanabhan told CNN. The study was merely observational, meaning the researchers aren’t sure of what’s occurring at a molecular level to cause these results. Still, the findings could have important implications, particularly when it comes to prevention methods and even exploring new avenues of treatment for depression.